What Kind of Exercise Can Burn Subcutaneous Fat? Fat either accumulates in the stomach or in the outlying areas of the body. Deep, internal stomach fat is known as visceral fat. It raises your risk for health complications. Subcutaneous fat builds underneath the skin and causes more of a mental drain than health hazard. Exercise is an important part of reducing fat. Aerobic exercise, also known as cardio, involves repetitive movement of the limbs for an extended period of time. This form of exercise raises your core temperature, causing you to burn both visceral and subcutaneous fat. As an even greater benefit, aerobic exercise improves the function of your heart and lungs. Any form of cardio is beneficial, including running, brisk walking, jumping rope, swimming, kickboxing, step aerobics and rowing. Aerobic exercise will reduce subcutaneous fat, but only if you work out regularly. Going for a casual walk every few days is not enough. The American College of Sports Medicine says it might take 60 to 90 minutes of activity performed five days a week to achieve weight loss. You do not need to do this in one extended session. If you are pressed for time, you can still burn fat by exercising multiple times a day. 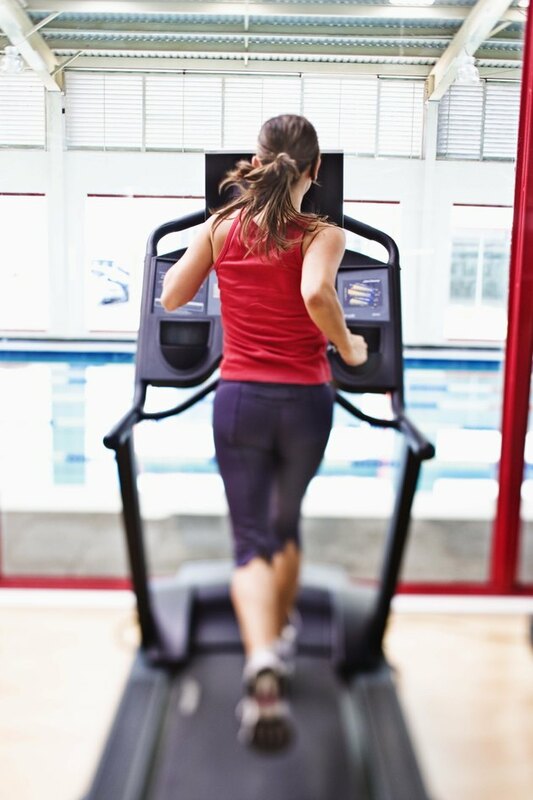 Exercising at a steady pace is beneficial for weight loss, but you also have the option of doing interval training. This is performed by alternating intensity throughout your workout. By doing intervals, you increase caloric expenditure and melt subcutaneous fat faster. Start your workouts with a light warm-up and follow a 1-to-2 ratio of high-to-low effort. For example, jump rope as fast as you can for 30 seconds, jump lightly for 60 and repeat for the rest of your workout. Although cardio is the best form of exercise for burning subcutaneous fat quickly, do not underestimate the importance of weight training. Building muscle boosts your metabolic rate and causes you to burn more calories while at rest, according to the Mayo Clinic. Following a workout plan with cardio and weight training will maximize your results and help you shed weight faster. Work out two to three days a week with exercises that target all your major muscles. Exercise is not the only component in losing subcutaneous fat. If you overeat on a regular basis, any efforts you make to lose weight with exercise will be compromised. The best approach is to reduce your intake and eat foods that are high in nutrient value like fruits, vegetables, lean meats, whole grains and low-fat dairy products. How Much Do You Have to Exercise for a Flat Stomach?